She’s certainly versatile, is P. A (or Paddy). O’Reilly. I’ve read her book The Factory and was kindly (thank you Lisa) given a copy of The Wonders, but am rather embarrassed to say that have not yet read it yet (a TBR#20 contender perhaps?) Both of these books have little in common with The Fine Colour of Rust which is a light, humourous read, ideal for a book group (which is how I came to read it) or just for a lay-back-and-enjoy read. Loretta Boskovic is one of three sisters, named by her mother in tribute to women country-music singers (her sisters are Tammy and Patsy). She lives a country life, and in many ways it reflects the staples of country-music lyrics: a small town, a no-good husband, and single motherhood. But there’s no misery here: Loretta is funny, self-deprecating and a crusader for her small rural local community of Gunapan. Her children’s local school is threatened with closure, and so Loretta charges up the Save our School Committee, regales the local MP on his fleeting visit to the school, and has a partial success. It is not long before she becomes aware of other nefarious doings involving local movers-and-shakers and big money. I don’t live in a small town, but largely because of my participation in the Heidelberg Historical Society, I am involved in local community action about heritage and development issues. I haven’t yet earned ‘regular feature’ status at Council meetings, but I’ve been often enough to see grassroots politics in action, and Loretta’s activism and community involvement rings absolutely true to me. I’ve met several “Lorettas” in committees, in local politics, at the school gate. They are the sinew of local life. Her husband has breezed back into town with a new girlfriend in tow, and she watches sadly as her teenaged daughter reads significance into his fleeting visit. Her kids drive her crazy, and she loves them like mad. She has women friends who she doesn’t always treat well, and her friend Norm, the old scrap-metal collector up the road, is a steady backstop and surrogate grandfather for her children. When we discussed the book at bookgroup, we found ourselves calling “But what about when….” and flicking through to find yet another small snippet that had us laughing anew. I didn’t even notice that the book was written in the present tense, and at times I had a lump in my throat just a couple of pages after laughing aloud. The Fine Colour of Rust is an affectionate lovesong to community, to friendship, to motherhood and to small country life. It’s not high literature, but it’s honest to the core. Although there are a couple of convict stories set in colonies other than Tasmania, the genre and stereotype is almost synonymous with Van Diemens Land ( For ‘other colony’ stories I’m thinking particularly of Jessica Anderson’s The Commandant and Patrick White’s Fringe of Leaves,set in Queensland; and Kate Grenville’s colonial trilogy and Keneally’s The Playmaker set in Sydney). The fifty years that Van Diemens Land served as a penal colony threw a long shadow, one that is still being explored in the Founders and Survivors Project in recent years. 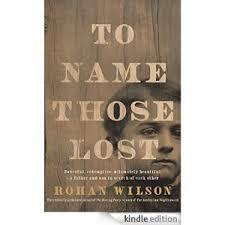 Rohan Wilson’s second book To Name Those Lost is set in Launceston in 1874, some twenty years after transportation to VDL ceased, but for those expired convicts, uprooted to the other side of the earth and now set adrift, it is a hard place. Tethered on a real-life riot in Launceston in summer 1874, Wilson’s book traces the hunt between two fictional ex-convicts Thomas Toosey and Fitheal Flynn as they pursue each other through the streets and bushland surrounding post-convict era Launceston. Thomas Toosey is searching for his young son, cast adrift after a stroke killed his mother, while Fitheal Flynn is accompanied by a silent, hooded figure. The town itself is heaving with dissent over a tax imposed to bail out a failed railway company: a scenario not unknown to us today. Thomas Toosey appeared in Wilson’s earlier book The Roving Party as one of John Batman’s posse during the Black War, and here there is a hunting of a different kind. The narrative has twists and jerks; there are surprises; there is resolution. I particularly liked the way that Wilson captured the more-formal tone of a nineteenth century narrative. He animates the voices of ex-convicts, brought to VDL already with their accents formed, and those of their children born in this new, co-mingled colony. His description of Launceston was historically-informed without descending to Trove-based historical visual tourism. However I did, I must confess, have difficulty with imagining Launceston in summer, having only visited it in winter, even though I know that it does get hot there too. The descriptions of Launceston kept evoking for me images of small-town America, and I found it hard to stop imagining Toosey and Finn as cowboys. Many readers have likened Wilson to Cormac McCarthy as a writer, and I can see why. Wilson takes pains to underline the Australianness of his landscape, and the British (rather than American) nature of his characters, yet the Americanism keeps soaking through and I don’t know what- if anything- Wilson could do to prevent this. I enjoyed this book very much, and there is much to admire in Wilson as an attentive, talented new writer. 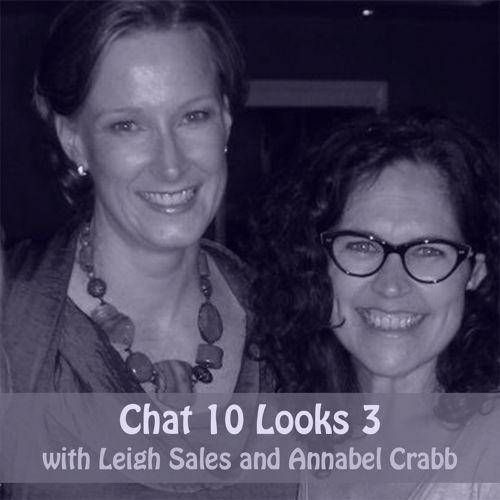 I’m really enjoying Chat10Looks3, a podcast put together by Leigh Sales and Annabelle Crabbe. You can subscribe on I-tunes or download them from their website at http://www.chat10looks3.com/ It’s worth downloading them all and listening from the beginning because there’s quite a few in-jokes. They rabbit on about the books they’ve read, films they’ve seen, a little bit of current affairs and politics, favourite recipes and -yes- they cook cakes and biscuits for each other. Podcasts are often interrupted by their children coming to the door, the sound of them eating their delicious gifts to each other and bursts of laughter. It’s like sitting beside two uproariously funny girlfriends having a coffee. What a podcast! Within 30 I found myself recoiling in disgust at the narrator’s voyeurism, sobbing at the sadness of what she saw, and wondering if, by making this podcast, she has committed an even more egregious betrayal. It’s one of the best podcasts I’ve listened to- see if you agree. Oil Paint and Ochre: The incredible story of William Barak and the De Purys, Yarra Ranges Regional Museum 29 August 2015- 22 November 2015. Free. As we can see in this excellent exhibition, the frontier could also be just across the river. 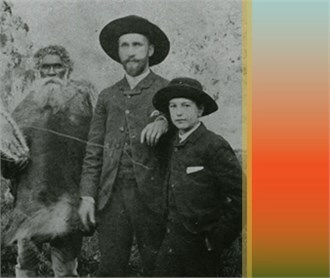 The de Pury family ‘took up’ (to use the euphemism) land adjoining the Coranderrk reserve where William Barak and his cousin Simon Wonga led a community of Daung wurrung and Wurundjeri indigenous people in an independent and largely self-sufficient community managed by European John Green. This exhibition displays photographs, letters and artefacts donated to the Yarra Ranges Regional Museum by the wine-growing de Pury family that reveal the neighbourly interaction between Barak in particular and the neighbours across the river. The exhibition tells two intersecting stories: those of Barak and the Coranderrk community, and that of the de Pury family and winegrowing generally in the Yarra Valley. At times the stories come together in photographs and paintings, but there is also confluence of the narrative in de Pury’s presence on the ‘Board of Enquiry into the future of Coranderrk instituted by the Central Board Appointed to Watch Over the Interests of Aborigines in the Colony of Victoria’, which in effect brought the community to a close. De Pury had initially declined to sit on the board, but later did so, in a reminder of the power relations that constrained ‘neighbourliness’, after all. This is a beautifully curated exhibition in a well-funded, purpose-built building. The exhibition was of particular interest to me because my family ‘took up’ a Crown Land grant at Chum Creek, near Coranderrk on what would have been assuredly a tribal resting-place and food source on the river flats of the Chum Creek at much the same time that Coranderrk was established. The two events are, I’m sure, related – a fact which I find uncomfortable. A handsome book has been produced to accompany the exhibition. There’s a very well-presented exhibition upstairs on the Yarra Valley, and a very good cafe downstairs overlooking the park. The exhibition is on until November, so don’t miss it- it’s beautiful weather for a trip to the hills! I put a hold on this book some time ago, having heard good things about it. I was startled to find that I was number 30 on the waiting list but when I actually picked the book up from the library some weeks later, I was prepared to be disappointed. “Don’t judge a book by its cover”, we are told- but I do. The gold embossed font suggested genre fiction (as Lisa from ANZLitLovers learned recently) and the pastel colours suggested romance. The sickly-sweet blurb “The only thing harder than losing home is trying to find it again” was not encouraging, either. But this book is poorly served by its cover, because instead of fantasy or romance, this is a beautifully nuanced book about nostalgia, motherhood and the sense of ‘home’. It is written in the present tense, a stylistic choice that I usually bridle against (despite writing nearly all this blog in the present tense myself!) 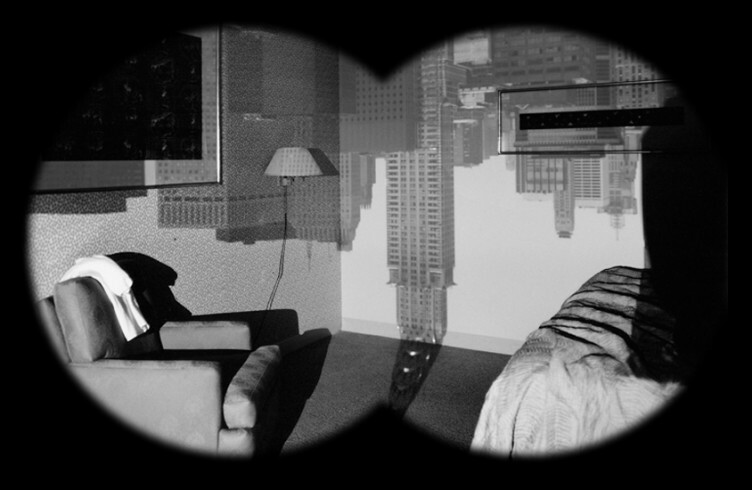 In this case, however, I barely noticed, as was the case in Black Rock, White City which I read recently too: perhaps I’m moving away from my prejudice against present-tense narratives? Set between 1963 and 1966, Charlotte has been plunged into rapid motherhood, long before she feels ready. She lives in Cambridge with her husband Henry, an Anglo-Indian academic and she is suffocating under what we would now probably diagnose as post-natal depression. Ground down by the sheer mindlessness and fatigue of dealing with babies, she acquiesces in Henry’s dream of emigrating to Australia and ends up in stark, hot, sun-drenched Perth, where he gains a position at the university. She hates it and wants to return home but he resists her unhappiness, convinced that the opportunities that Australia offers their children and time will overcome what he assumes is temporary homesickness. She resents Henry and is drawn to a fellow artist, Nicholas, who understands better the nature of the sacrifice that this move to the other side of the world has cost her. 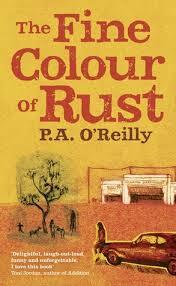 Although Henry rests in the assurance that he has done the right thing by bringing his family to Australia, as an Anglo-Indian he faces his own challenges in 1960s White Australia Perth. When he is called to India where his mother is dying, he leaves Charlotte alone with the children. Back in his childhood home and increasingly conscious of his parents’ choice to send him back to England for his education, he is brought up against his own concept of ‘home’. A couple of years ago I was fortunate to work as research assistant for A. James Hammerton, who along with the noted oral historian Alistair Thomson, wrote Ten Pound Poms, a fascinating book about the experience of post-war English migrants who emigrated to Australia under the assisted migration scheme that ran between the 1940s and 1970s. He was working on a second book (not yet published as far as I know) about mobility between the UK and her former colonies especially after the assisted emigration schemes had drawn to a close, and the interviews that I read as part of my work for that project, along with those in the earlier book Ten Pound Poms very much echo the experiences of the characters in this book. It rings absolutely true. Not so true, however, are some of the small infelicities which arise, I’m sure, as a result of the youth of the author. Refrigerator freezers in 1965 barely contained an ice-cream brick let alone a loaf of bread; playgroups didn’t emerge in Australia until the 1970s and the smacking of children- at least in many families- didn’t have quite the connotations it has now. I suspect that the author has spent much time examining the copies of the Womens Weekly available on TROVE but the references to it are awkward and jangly. Charlotte has the eye of an artist and the author, Stephanie Bishop, has the voice of the poet. This comes through most strongly in the descriptions of setting and place that run throughout the book and which underpin Charlotte’s longing for England. At the same time, the book is minutely domestic with well-observed (if perhaps a little too lengthy) descriptions of parenthood with small children in the absence of a family or community network. Overall, it’s a very assured, mature and nuanced second novel by a clearly talented young writer. 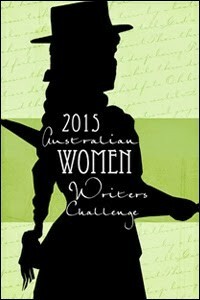 I have posted this review on the Australian Women Writers Challenge site. It took me some time to realize the cleverness of the title of this book, which seems far more a journey away from home, rather than towards it. Lev is an unemployed lumberworker and what we’d call today an ‘economic migrant’ from an unnamed Eastern European country who travels to England from his economically-hollowed out town to make enough money to carve out a better life for his family back home. He is not, as he emphasizes, “illegal” under the then-current Worker Registration Scheme that made it possible for workers from the central Europeans and Baltic A8 states to work in the UK, but he quickly moves towards that eddy of marginal casualized workers that underpin the hospitality and agricultural sectors of the UK economy. Lev is a widower, with a young daughter after his wife Maria died with cancer a few years earlier. The daughter has been left behind with her grandmother. On the bus that bears him across Europe towards England he is fortunate to be seated beside Lydia, a teacher with similar dreams of economic advancement, whose English is much better than his. As Lev moves through a succession of poorly paid jobs, Lydia finds a job as a translator to a world famous musician and shifts into a different social and cultural milieu. But she continues to come to Lev’s assistance, even though he does not, in truth, treat her well. His other piece of good fortune was to find lodgings with Christy, an Irishman reeling from the breakdown of his marriage and the loss of his daughter. Lev sleeps in a bunk in the daughter’s bedroom, surrounded by the pink plastic detritus of children’s toys. He and Christy drink too much, but they are good for each other. Lev is a complex character. In many ways, he is a good man, but he is also proud, jealous and inclined to violence. He is also hard-working and quick, and when he gains a job as a dishwasher at the upmarket restaurant G K Ashe, he uses the opportunity to watch and learn. He becomes involved with Sophie, one of the other cooks, but when their relationship becomes too messy, it is Lev who is sacked. Sophie, like Lydia, is drawn into the celebrity culture of London when she becomes involves with the pretentious artist Howie Preece, but Lev continues to visit the aged care house where Sophie volunteered even after she had flitted into a new life. He works hard and gradually an idea coalesces for a new life back home, with his friend Rudi, his mother and daughter. It is at this point that I realized that this exile was all part of the way home- hence the title. 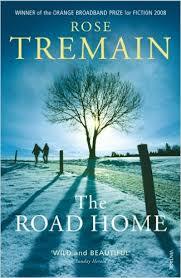 This book was my choice for my face-to-face bookgroup, chosen largely because I’ve enjoyed Rose Tremain’s work before and because I was aware that it had been awarded the Orange Prize in 2008. Such responsibility! (no-one likes to hear the words “Who chose this book?”) I feared that “the ladies” might think it too slow moving and at times I wondered where the book was going. I must confess to fearing with each page that something tragic or dreadful was about to happen, but instead Lev’s progress was slow and prosaic. 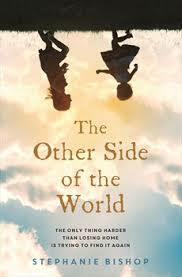 But, along with my bookgroup ladies, I found the ending far more emotionally satisfying than I thought it would. I’ve read critiques of the book where reviewers criticize the lack of specificity of Lev’s origins (thereby suggesting that all Eastern European countries were the same), or the political neatness of sending Lev ‘back home’ . Neither of these things bothered me. I remember being disturbed by the open prejudice voiced against Eastern European migrants in England when I visited in 2007 – precisely the time that this book was published- and the images we now see of young African economic migrants waiting at the Calais tunnel are challenging. I found that Tremain’s book put a human back into the images and stereotypes. She held back in the right places: there was no fairytale ending, but not did the whole thing descend into squalor or outright degradation. And yes, the bookgroup ladies enjoyed it too.